From one of Toronto’s most magnetic chefs and restaurateurs comes a cookbook that has just the right amount of schmaltz! Anthony Rose is the chef and co-owner of Toronto gems Rose and Sons, Big Crow, Fat Pasha, Schmaltz Appetizing, Bar Begonia and Madame Boeuf. Join us for a night of food, laughter and a look into his debut cookbook, The Last Schmaltz. Susan Orlean. 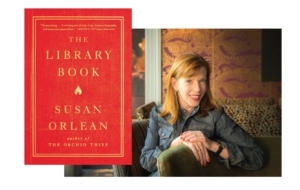 Bestselling author of Rin Tin Tin and The Orchid Thief (the basis for the film Adaptation), Susan Orlean, reopens the unsolved mystery of the most catastrophic library fire in American history in her soon-to-be released novel, The Library Book. Join us for an evening of skin–and self–care as Dr. Sandy Skotnicki, the founding director of the Bay Dermatology Centre and Assistant Professor at University of Toronto, talks on her new book Beyond Soap: The Real Truth About What You Are Doing to Your Skin and How to Fix It for a Beautiful, Healthy Glow. In this surprising and remarkably practical book, practising dermatologist Dr. Sandy Skotnicki reveals the harmful effects of modern skincare habits and provides a step-by-step guide to preserve the microbiome, fight aging and develop beautiful, problem-free skin. 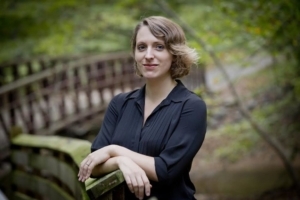 A night in celebration of your generosity as a Library donor! The Indigenous food scene is making a name for itself in Toronto, with restaurants like Pow Wow café and Kukum. 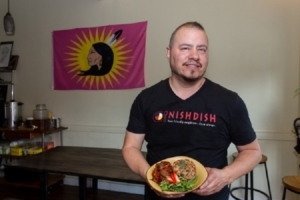 For National Aboriginal History month we’ve invited Johl Whiteduck Ringuette, owner and chef of NishDish (a business built on traditional Anishnawbe food) to discuss sharing traditions through food. Toronto off the Page: What’s so Funny About Toronto? 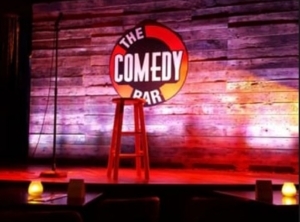 Join us for a discussion on comedy in Toronto and how it’s evolved. 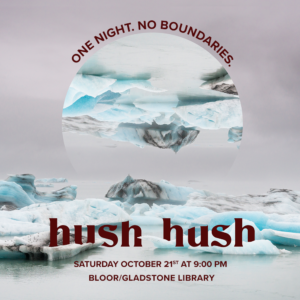 Featuring award-winning journalist, screenwriter, author, and Director of Comedy Writing and Performance at Humber College, Andrew Clark, and comedic guests Gavin Williams, Lauren Mitchell, Courtney Skye. Gail Simmons is a trained culinary expert, food writer, and dynamic television personality. She is a permanent judge on BRAVO’s Emmy-winning series Top Chef. Gail was previously head critic on Top Chef Masters and host of Top Chef Just Desserts. She was also co-host of The Feed. Her first cookbook, Bringing It Home: Favorite Recipes from a Life of Adventurous Eating, will be released on October 24, 2017. It features recipes inspired by Gail’s world travels—all made with accessible ingredients and with smart, simple techniques for successful family meals and easy entertaining.